When Is The Right Time To Promote Your Salon Staff? Your salon staff are the vital cogs that make your salon business work – without them, you simply wouldn’t have a business. With this in mind, it is important to regularly step back and appreciate your salon staff whilst analysing their performance within your business. Here at Salons Direct, we want your salon business to succeed, whether you specialise in barbering, hairdressing or beauty. We know that regular evaluations of your staff is very important for the development of your business and for the career progression of your staff. We have already discussed the best methods to manage staff effectively and how to manage underperforming staff, and in this week’s salon management article, we share our thoughts on promoting your salon staff. Perhaps you feel unsure as to what warrants a promotion, or you want to boost staff morale? – Whatever your reason, our guide will help focus your decisions. How long have they worked for you? If they are a loyal longtime member of staff, say, over 3 years – perhaps it’s time to progress them to the next level. Are they meeting their individual retail targets regularly? Retail targets are important and it is imperative that your salon staff help bolster profits through this medium. Is there a member of your team consistently hitting their target, and going above or beyond? How well do they get along with other members in the team? Do you have a salon team member that is the glue to the community within your workforce? How healthy is their client list? Do you have staff that retain a regular client list who continually come back time and time again to see their favourite professional? Are they bringing in new clients regularly? A fresh client list offers your salon more opportunity to grow. Do you have a member of staff who strives to bring in new business? Are they retaining clients well? Nobody wants to lose clients, but we know this inevitable. However, do you have a staff member who holds a particularly loyal client list? Think critically. Perhaps you have a junior working within your team who is continually standing out as an employee, or you have a long serving member of your team that has been continually loyal. All of these factors add up to a valued employee that you want to promote. What does a promotion look like in a salon? 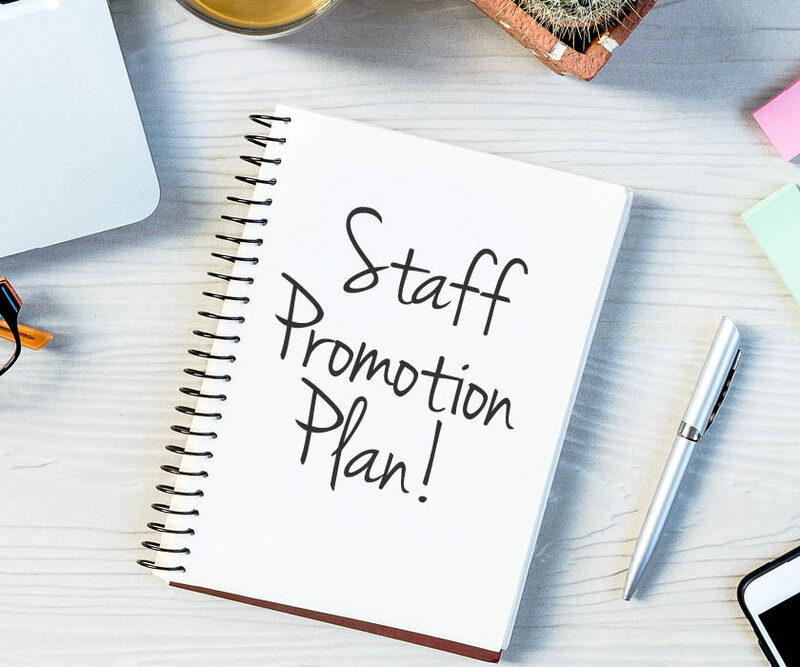 A promotion can range from a job title change, i.e from junior to senior stylist and/or a change in salary, to more responsibility – perhaps managing their own team or running a section of the salon? How you choose to reward your staff is entirely your choice but make sure it is fair and with the best interests of their career at heart. On the whole, promotions within the workplace not only boost the morale of the individual rewarded, but also generate some healthy competition amongst the team as others will want to thrive also. Ensure that your salon is fully inclusive and responsive to your staff’s own ambitions – if it isn’t you are at risk of losing staff and clients and in an industry that works through word of mouth recommendations you cannot afford a loss.